Optime Consulting, a boutique marketing agency based in South Florida, achieved what many marketers failed to do correctly- build the Latin American presence and Marketing loyalty Programs that American tech companies need to better understand their markets. Optime’s clients included Adobe, Avaya, Citrix, and HP and as social media specialist, it was my responsibility to build out the social channels and digital presence for our clients, Partners and resellers in all of Latin America. 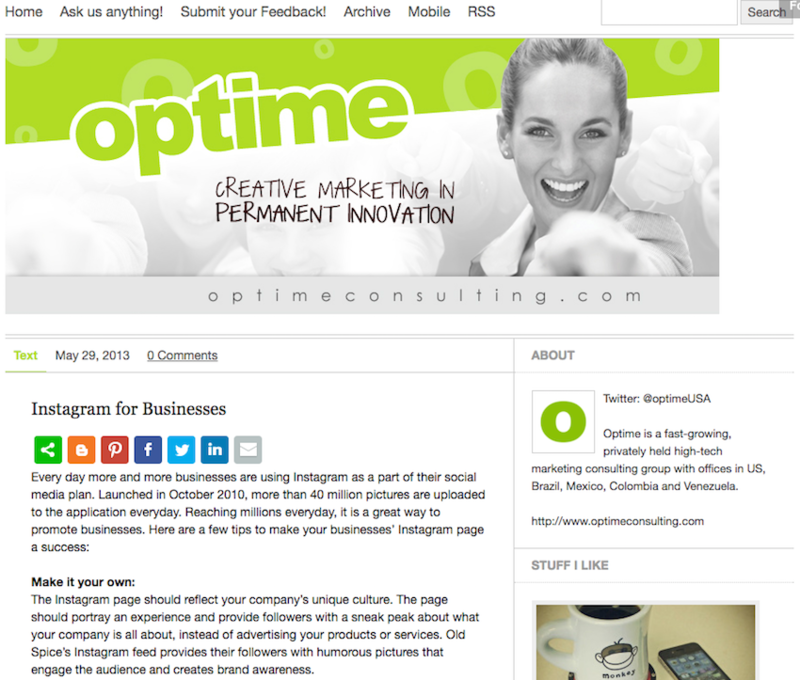 I created Optime's Facebook , Twitter, LinkedIn , and Instagram accounts that Optime Consulting used to engage with its audience. I created and monitored social media content is Spanish, English, Portuguese and French. My role was very cross-functional, as it required coordination between our in-house graphic designers, animators, and localization specialists. I was in charge of copy editing Spanish, English, and Portuguese content and ensuring that our brand voice was relevant and accurate. One of my most important duties was doing research in the strategies that were being implemented in other continents and from competing brands. Staying ahead of the curve as a social media marketer was crucial to ensuring our thought leadership and expertise in technology communications that went beyond the US-centric audience of tech brands. I wrote and managed Optime’s Tumblr blog, the company's first content hub about upcoming marketing technologies, insights, and tips for other marketers in the industry. 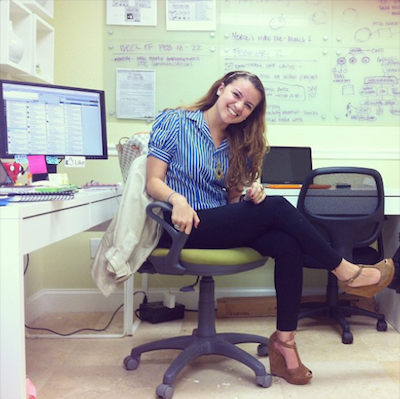 After 1 year as social media specialist, I was promoted to Marketing Specialist where I was spearheading a new loyalty program called Adobe Partner Connect- a marketing initiative in Spanish and Portuguese for resellers in the entire LATAM continent. We organized events, newsletters, and telemarketing scripts to ensure our partner satisfaction and retention rate was always an upward curve. Because Optime has offices in Venezuela, Colombia, Brazil, Spain and The US, It was my duty to create content that was relevant to all countries and all languages and coordinate timely execution across all time zones.